VCU will look to snap a two-game losing streak when hosting one of the nation’s hottest offenses at 2pm today. After a 4-0 start to conference play as a part of a eight-game win streak, things got interesting quicker than we expected. We knew VCU’s road test at Davidson would be a taller task than perhaps the Wildcats’ record suggested, but what followed was a two-game losing streak that shocked all of Ram Nation. 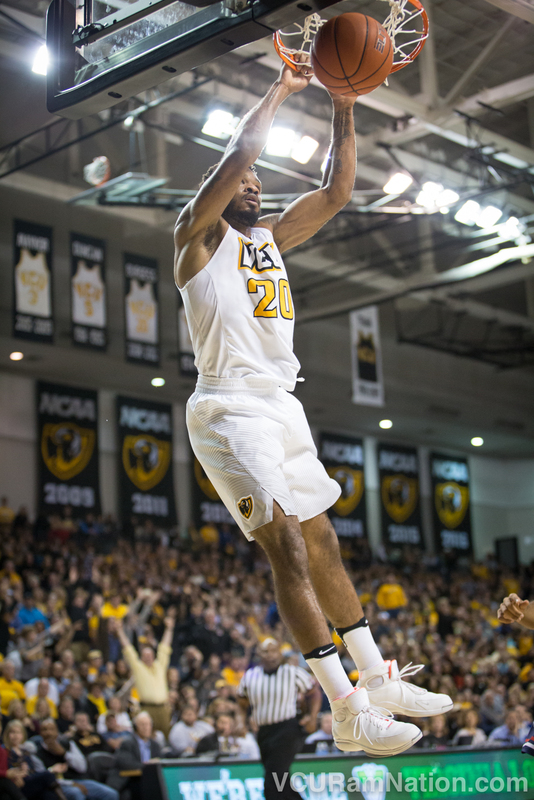 Jack Gibbs and Peyton Aldridge went off on the Rams to hand VCU their first A-10 loss. Not what we planned, but a top-100 road loss against two of the A-10’s best players was perhaps not the end of the world. Then Fordham happened. The Rams put themselves behind the eight-ball by dropping a road contest to a Fordham team that had lost 10 of their previous 12 (including a home game to No.314 Sacred Heart), putting VCU back just one game back of first place but as the only team among the top-six with two losses to bottom nine teams. Things get no easier over the next four as the Rams with host three consecutive 5-1 A-10 teams then follow that up with a road game at St. Bonaventure, a team who’s two conference losses are both to 5-1 teams. In short, this four-game stretch is make or break for this year’s VCU team and it all starts today against La Salle. Just one season after finishing 9-22, La Salle is a completely different team. Thanks to the availability of newly-eligible high-major transfers BJ Johnson (Syracuse), Pookie Powell (Memphis) and Demetrius Henry (South Carolina), the Explorers have gone from the nation’s 279th ranked offense to 20th nationally this season, making today’s opponent the highest ranked offense VCU will have faced all season. After dropping their first A-10 game of the season to Dayton, La Salle has reeled off five straight wins including a 12-point road win against a very tough Rhode Island team. The Explorers have scored at least 87 points in three of those contests and are averaging 84 points during their five-game win streak. Senior Jordan Price has been his normal explosive self during that streak, as well as throughout the season, but his 17.8 points per game checks in at just second on the team thanks to Cuse transfer BJ Johnson who is scoring 18.6 a night for Dr. John Gianinni’s squad. The 6’7 junior is having a career year since averaging just 4.2 points as an ACC sophomore two seasons ago. Johnson is a threat everywhere on the court, hitting just over 40% of his threes while finishing over 56% of his shots inside the arc. Another new face that will challenge the Rams is 6’9 South Carolina transfer Demetrius Henry. Henry hasn’t been a key piece for the Explorers in terms of playing time but has been insanely efficient while on the floor. Rebounding over 20% of offensive boards and 25% of defensive, Henry has been the No.1 overall A-10 rebounder in conference play. He did not play in the Explorers A-10-opening loss to Dayton but has averaged 8.2 points and 7.6 rebounds since. Then there’s Memphis point guard transfer Pookie Powell. Powell has been unbelievable in A-10 play, averaging 15 points, 4.6 rebounds, 4.6 assists and 1.6 steals since the conference season began, hitting a red-hot 50% of his 24 threes in the process. Add in Cleon Roberts who ranks second nationally with a ridiculous 56% three-point percentage (on 50 attempts…just insane), a vastly-improved Amar Stukes and the underrated Tony Washington and this La Salle team is probably the best we’ve seen since the Explorers made a Sweet 16 run during VCU’s first season in the Atlantic 10, a season that coincidentally saw a La Salle win at the Siegel Center. But these dudes ain’t perfect and the proof is on the defensive end. In short, La Salle has looked like an all-star team at times in that while they tend to score with ease, their defense has also been non-existent at times, currently ranked 273rd nationally in adjusted defensive efficiency. La Salle’s defensive effective field goal percentage is among the 40 worst in the nation and the best news for the Rams is they haven’t been known to turn teams over, ranking 247th nationally in turnover D.
VCU has been a dangerous team all season long but have struggled with offensive consistency, particularly as of late. A huge part of that is a season-long turnover issue that has haunted the Rams, rearing its ugly head in a loss to Fordham that saw 22 VCU turnovers. Another bugaboo has been insanely slow starts. The black and gold scored just 26 points in the first half of their loss to Davidson then followed that up with a 20-point first half performance at Fordham. Senior big Mo Alie-Cox was held without a field goal in the later, making it his first game without a field goal since his freshman season. And in that lies one of the keys to shutting down the Rams. This year’s VCU team has been one to aggressively attack the basket, but in doing so may have become a little too dependent on what are supposed to be easy buckets. VCU is getting 56% of their points from twos (making them the 39th most dependent team on two-point baskets), the majority of which are at the rim, meaning when teams are effective in their defense of the front porch it can equal a long night for a VCU team who’s goal is to score most of their points at point-blank range. They defend. On paper this looks like one of those classic offense v defense battles so it will be up to the Rams to ugly this one up for La Salle in front of what will be yet another sold out Siegel Center crowd. I subscribe to the “their due” theory, meaning I think VCU is capable of finishing on offense better than they have as of late, so if they can somehow put the clamps on La Salle (easier said than done), the Rams will have pulled themselves out of this tailspin and helped avoid a complete meltdown on our forums. If if if if if. La Salle shot a very respectable 60% inside the arc and 38% from deep in a close game against No.1 Villanova earlier this season, a Wildcats team that ranks 17th nationally in adjusted defensive efficiency, so defending the Explorers is a serious challenge for even the best teams in the country. Only one team has managed to truly slow down La Salle this season and that came at the start of A-10 play when Dayton held the Explorers to just 55 points. A key factor in that Flyer win was limiting La Salle inside the arc (9-25, 36%). That will basically be the defensive key today. If this one is a shootout the Explorers will be 6-1 in a matter of hours and, thanks to a head-to-head tie-breaker, essentially three games ahead of VCU in the conference standings. I just have a hard time imagining VCU wins a game against this group if it comes down to trading baskets, so the Rams will need essentially their best defensive showing of the season to win a tough Saturday afternoon contest at the Stu. If La Salle comes close to sniffing their offensive season averages it’ll be goodnight VCU. Kenpom: 83-77 VCU win with a 72% chance of a Rams victory. Watch: NBC Sports Network, Official game day headquarters are Baja Bean Co. in the Fan and Buffalo Wild Wings locations at Virginia Center and downtown on Cary Street in Shockoe Bottom.